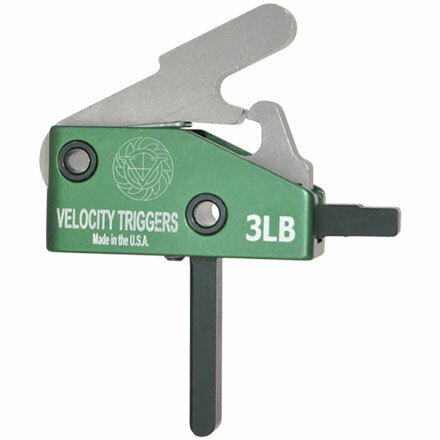 The Velocity Triggers AR-15 Drop in Trigger Straight 3LB is a great addition to any AR 15 type rifle that requires a crisp, top notch trigger. 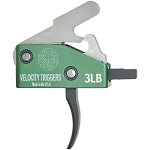 The Velocity Triggers AR-15 Drop in Trigger Straight 3LB is specifically designed as a replacement "drop in" trigger pack for the AR series of firearms. The Velocity Triggers AR-15 Drop in Trigger Straight 3LB is made from high quality materials and then coated with Velocity's proprietary Diamond Like Coating (DLC). The DLC on the Velocity Triggers AR-15 Drop in Trigger Straight 3LB prevents rust, increases the overall function with added lubricity and resists corrosion. The DLC also gives the trigger a deep black finish. The Velocity Triggers AR-15 Drop in Trigger Straight 3LB is a single stage trigger that will break cleanly and without the associated "creep" of other triggers. 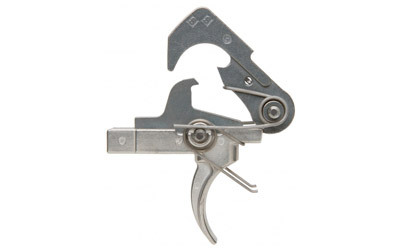 Once your original trigger, hammer, and disconnector have been removed, the Velocity Triggers AR-15 Drop in Trigger Straight 3LB can be installed and the original pins reused. This may require the assistance of a qualified gunsmith depending upon your level of expertise. 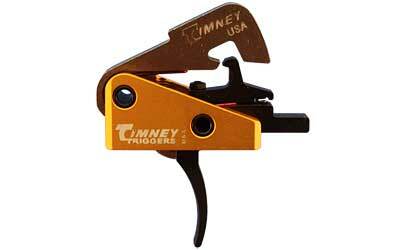 The Velocity Triggers AR-15 Drop in Trigger Straight 3LB cannot be used with 9mm Conversion kits or open bolt face guns. The Velocity Triggers AR-15 Drop in Trigger Straight 3LB is a true drop in trigger replacement for your standard AR15 style weapon. The Velocity Triggers AR-15 Drop in Trigger Straight 3LB is steel with DLC coating that prevents rust and inhibits corrosion. The DLC coating on the Velocity Triggers AR-15 Drop in Trigger Straight 3LB also gives the trigger an exceptionally dark black finish and improves feel with the natural lubricity.